Spring: 1944 is a free, open source (See License.txt file) WWII themed 3D multiplayer game based on the libre Spring RTS Engine. Our goal is to create a game that is as realistic as possible while still being fun and accessible to play. Games on average take 40 minutes and feature up to 6 factions battling to the last man standing. All factions are complete with several types of infantry, towed and self-propelled guns, normal and rocket artillery, tanks, aircraft and littoral naval assets. The game supports big matches with thousands of units and double digit player counts. The latest version of the game lets you play either as one of the axis powers (Germany, Italy, Japan, Hungary), one of the allies (Great Britain, Soviet Union, United States), or even the Sweden neutral faction. Of course you can team all of them together as there is no limit to which factions can play in the same in-game alliance. 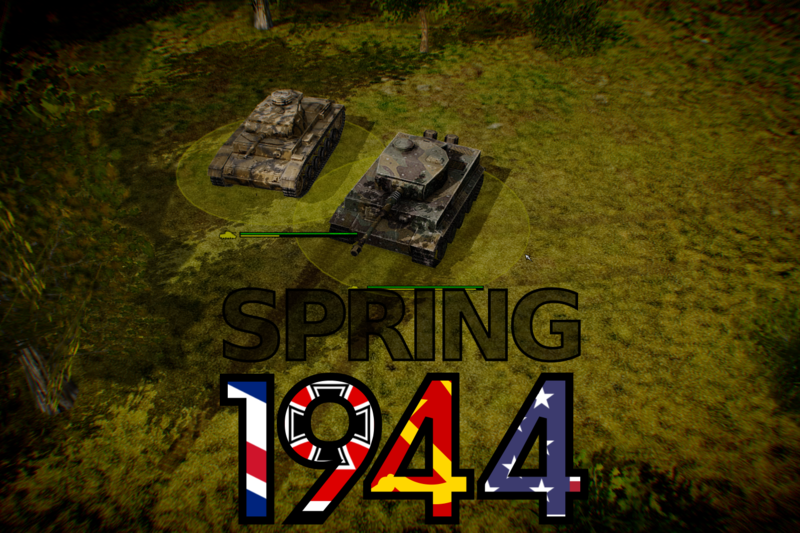 Spring: 1944 is a full featured game with complex in-game mechanics. You can learn more in the awesome wiki page!.